You can download all data without password. Please cite original publications, online resources and date accessed when using these data. Hirano J., Ohba T. Morishima W., Zaiki M. and Mikami T. 2013. 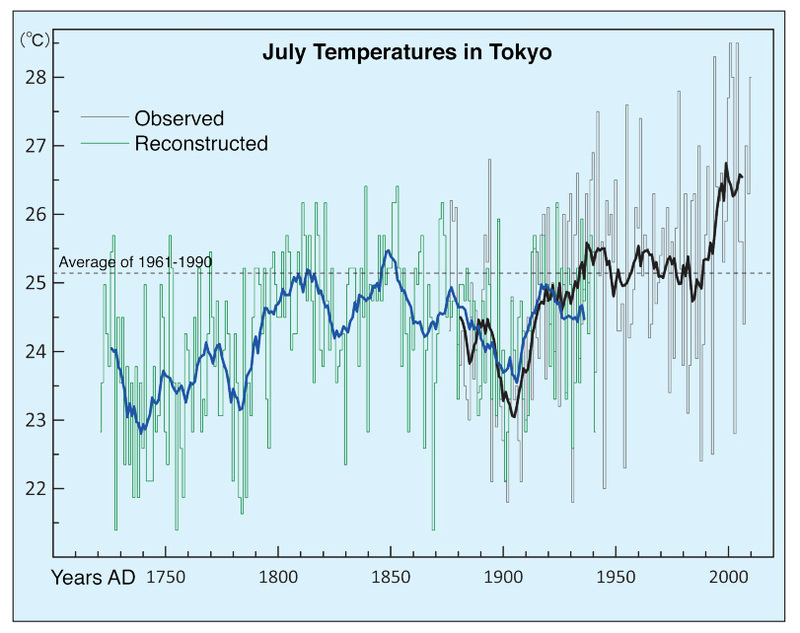 Reconstruction of July temperature variations since the 1830s in Kawanishi based on historical weather documents. Geographical Review of Japan (Series A), 86: 451-464. (in Japanese with English Abstract).